I don’t know if anyone is still visiting here, but if you are, thanks for sticking around! Let’s see, since I last was around these parts I’ve done quite a bit. My energy levels went back up for a little while so I finally got around to catching up with some of my projects. and finally making covers for couch cushions we bought a year ago. I also cast on for another pair of socks: a pair of Sunday Swing socks out of some variegated Yarntini [Ravelry details]. It was due time for another pair of pink socks! I’m also making good progress on my Ursa cardigan. I finally finished the back and am now ready for finishing up the fronts. After that, just a collar and sewing up will be left! 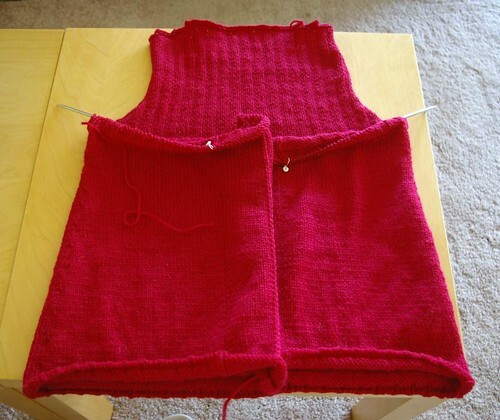 I’m really looking forward to finishing the cardigan so that I can start on some knitting projects for the baby! 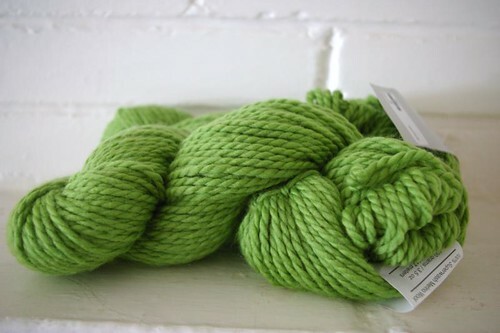 I got this awesome green Cascade 128 to make a little cardi. 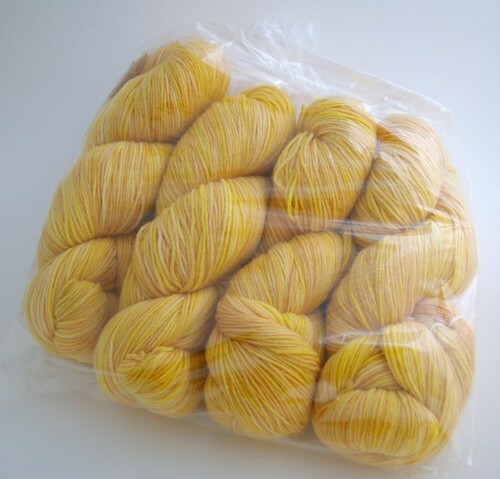 DH got me these 4 skeins of Knitpicks Stroll Tonal with which I plan to make some pants, cardi and hat set also. I’m being realistic though and don’t know how much I’ll get done before the baby’s born. I’m due in 8 weeks, it’s getting there fast! I also want to sew a quilt, make a bunting and a mobile… Yikes! Thankfully I’ve only a few weeks left at work and then I’ll get to do more of the crafty stuff! Wish me luck! 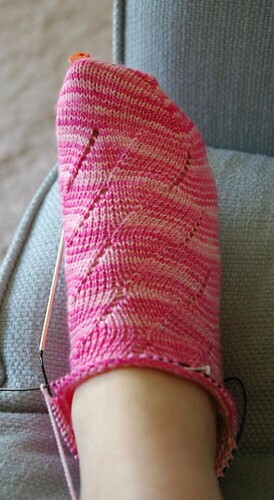 The pink socks looks wonderful and I love the yellow yarn! Best of luck with the final stretch! Sounds like you have lots of great projects up your sleeve. 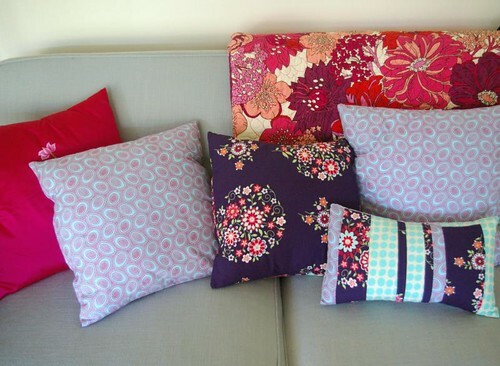 The couch cushions look great — I bought fabric for mine and need to get to work. And Ursa’s going to be awesome! The Scotty dog is soooooo cute!! 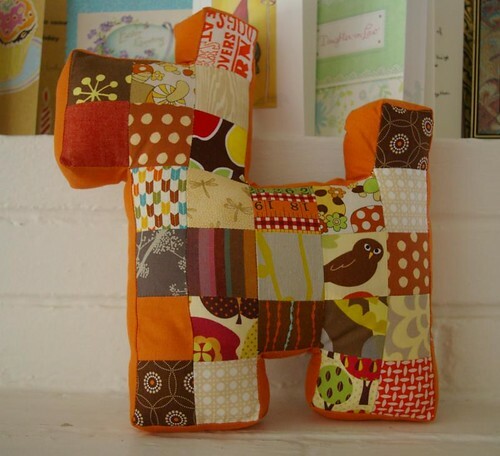 My sister and I had one of those handmade Scottie dogs when we were little – much loved I might add. Good luck on finishing all your projects! Lots of lovely things ahead to make!! The Scottie dog is adorable! It’s good to hear from you again. I was hoping you were doing okay. Haha, I see I’m the most behind person following your blog! The dog is adorable…your baby is lucky to have such a crafty momma. See you soon! Love that scottie dog! Freaking adorable. And your pillows are beautiful.